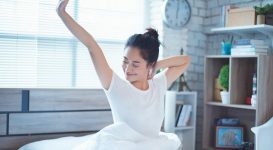 I initially started experiencing the effects of rheumatoid arthritis in my own knee joint five years ago at the age of 26, right after a flare-up that left me bed-ridden for a week. When I started to feel pain and limited range of motion during my everyday chores, I came to the realization of just how important our knees are. Having no extensive issues in my knee joint prior to this, it was a whole new territory for me even though I had other joints that were problematic for years. Our musculoskeletal system is complex and each joint has its own way of functioning alongside their respective muscles, tendons, ligaments, nerve endings, and other soft tissues. So, is the impact always bad on the knee joint? Not always but it can be if rheumatoid arthritis is moderate to severe enough and left untreated or undertreated. As in my case, it’s what led me down the path of a total knee replacement 2 years ago. How it can get to the point of irreversible damage doesn’t happen overnight though. 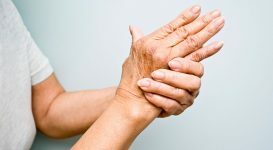 Rheumatoid arthritis is a chronic inflammatory disease were the immune system targets the synovium – the thin membrane that surrounds the joints and releases inflammatory chemicals into the body by mistake, leading to signs of pain, swelling, inflammation in the soft tissues, loss of function and disability. While there are many forms of arthritis that can affect the knees, rheumatoid arthritis can cause bone erosion, swollen and inflamed synovial tissue, reduced joint space and cartilage that is worn away, leading to irreversible damage in some cases. 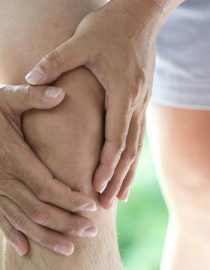 Understanding the signs and symptoms of rheumatoid arthritis in the knee can help you and your doctor get an early rheumatoid arthritis knee diagnosis and treat it aggressively to limit any complications. Increase in pain that is gradual. Worsening pain that goes from mild, then moderate to severe where you can’t function is a sign that there is damage. Pain while at rest. If pain while resting is constant for weeks and months, it’s a sign that rheumatoid arthritis has impacted the knee. Prolonged swelling that returns even after icing and taking over-the-counter medications or anti-inflammatory agents. 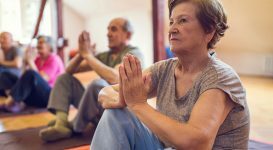 When typical methods no longer work to control your pain and inflammation, it’s a sign to move on to stronger methods of relief. Locking, buckling or instability. Weakness in muscles around the joint can lead to these symptoms because muscles play a big role in keeping the surrounding structures strong. These symptoms can come and go, with times of not being able to straighten or bend the knee. Cracking and popping. 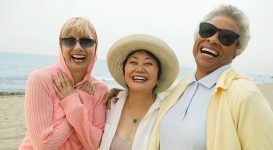 Everyone experiences cracking and popping but with rheumatoid arthritis, a grinding sensation is felt, in part to losing some of the smooth cartilage creating the rough surfaces and any bone spurs to rub together. Poor range of motion. This can occur before the physical deformities are seen. 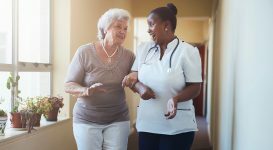 If you notice you can’t get up from a chair, climb up and down stairs or get out of your car like you use to, then you have loss of motion that is often treated by a physical therapist before choosing other invasive options such as, knee surgery. A decrease in joint space. X-rays and ultrasound tests can confirm this. Deformities. Physical changes that can be seen with the naked eye are the most severe and can require surgery to correct it. This is when you need to openly communicate with your doctor to get prompt treatments and tests to rule out where the problem is within the joint. By doing this you can gauge what is needed to be done next. There are many conventional and alternative methods available. I tried both methods alone and together until I was left with the only option of needing surgery. 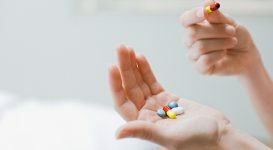 Supplements such as; curcumin turmeric, fish oil, glucosamine, chondroitin, and vitamin D.
It’s important to know that these treatments options are individual and considered on a case by case basis. What works for one person, may or may not work for you. 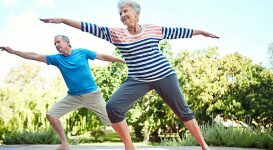 Depending on the severity of your knee joint, many alternative therapies may only provide temporary relief. 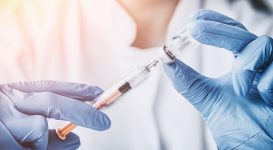 It is at that point that discretion needs to be used and a decision with your doctor for further action taken into account for the long-haul. Rheumatoid arthritis treatment may begin with taking prescription medicines, making lifestyle changes or adjustments, or surgical procedures. I have had 2 knee replacements. Don't wait too long. I waited so long on my second for my husband was I'll. It was not as successful, Dr had to rebuild my kneecap it was gone. I have two Knees two Hips and now one ancle fusion comes soon. Join Replacement has kept me from a wheelchair. And made me pain free in the those joints. Don’t suffer. Get them replaced. ⚡️🖖🏻.